WACO, Texas — Spring football is officially a wrap for the Baylor Bears. 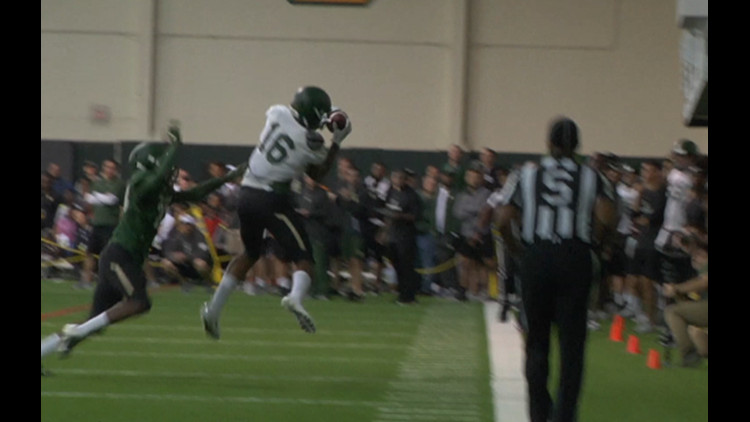 The Bears capped off spring practices with the annual Green and Gold spring game on Saturday. The game was originally supposed to be played in front of fans at McLane Stadium but bad weather forced it to be moved to the Allison Indoor Facility. Due to lack of space, the public was not allowed to attend. Quarterback Charlie Brewer played two series for the Bears, tossing touchdown passes in each. Gerry Bohanon and Jacob Zeno split series the majority of the time after that. Baylor played 70 plays in 60 minutes and head coach Matt Rhule says he was pleased with what he saw. Rhule threw in a bit of a twist. He allowed all the quarterbacks, minus Brewer, to be "live" during the game, meaning they were allowed to be hit. Rhule says he doesn't do that often but he thinks it benefits the younger players. Baylor kicks off the 2019 season on August 31 against Stephen F. Austin at McLane Stadium.